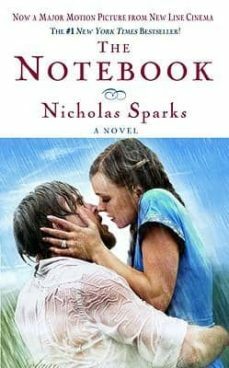 Set amid the austere beauty of coastal North Carolina in 1946, The Notebook begins with the story of Noah Calhoun, a rural Southerner returned home from World War II. Noah, 31, is restoring a plantation home to its former glory, and he is haunted by images of the beautiful girl he met 14 years earlier, a girl he loved like no other. Unable to find her, yet unwilling to forget the summer they spent together, Noah is content to live with only memories...until she unexpectedly returns to his town to see him once more. Allie Nelson, 29, is now engaged to another man, but realizes that the original passion she felt for Noah has not dimmed with the passage of time. Still, the obstacles that once ended their previous relationship remain, and the gulf between their worlds is too vast to ignore. With her impending marriage only weeks away, Allie is forced to confront her hopes and dreams for the future, a future that only she can shape. Like a puzzle within a puzzle, the story of Noah and Allie is just the beginning. As it unfolds, their tale miraculously becomes something different, with much higher stakes. The result is a deeply moving portrait of love itself, the tender moments and the fundamental changes that affect us all.